Hello friends. 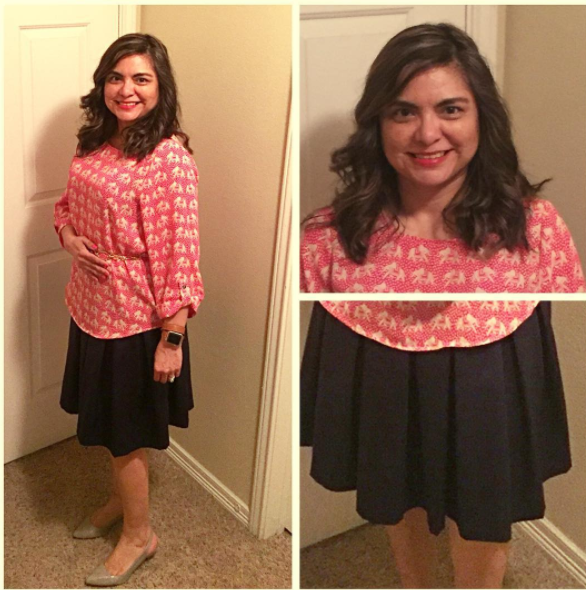 I am back to share some fun outfits I've put together using current items I have in my closet along with some new items I've purchased at some of my favorite stores. So please follow this blog and my instagram account to enter. I'll be announcing the details in the next few days. Have a great week! 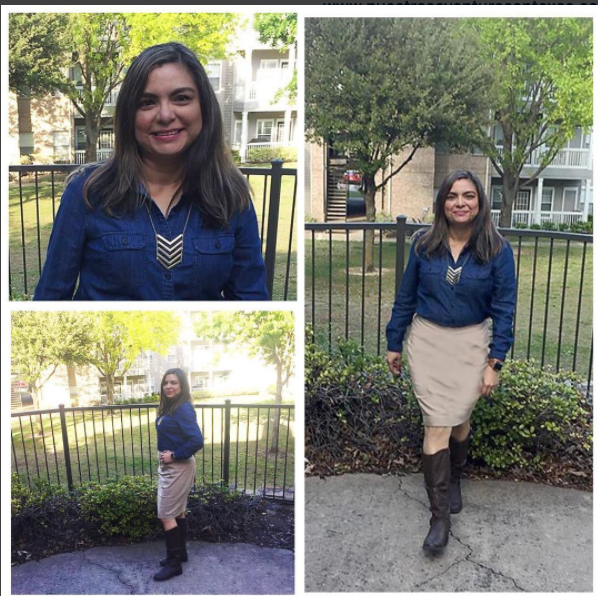 Denim Blouse from JCPenney, Chevron Necklace and Tan skirt from Kohls. Boots from Target. 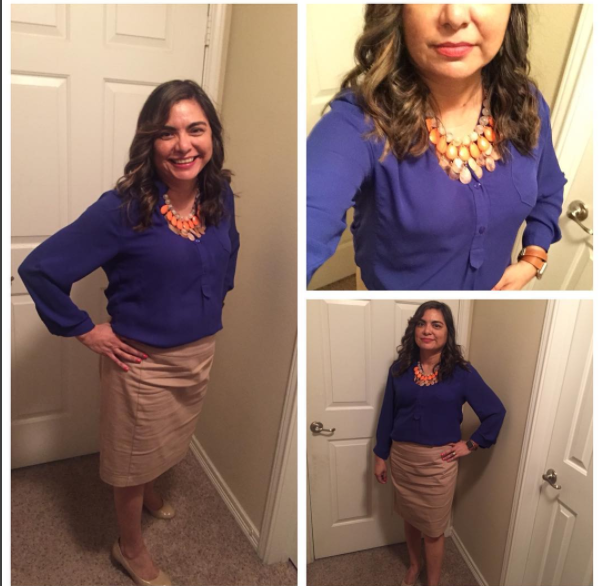 Gorgeous blue blouse from Stitch Fix, Coral bib necklace from Kohls. 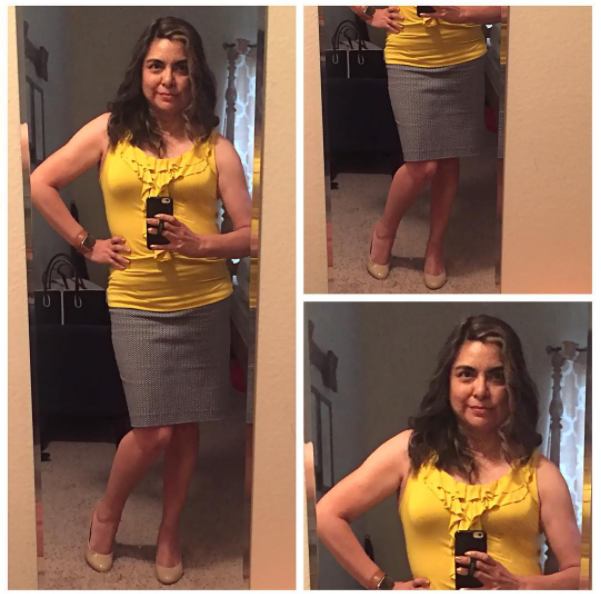 Here is the tan skirt again from Kohls.